The North American Lutheran Church, a new Lutheran denominational body, was established on Friday, Aug. 27, 2010, as Lutherans from throughout North America voted overwhelmingly and enthusiastically to form the NALC. 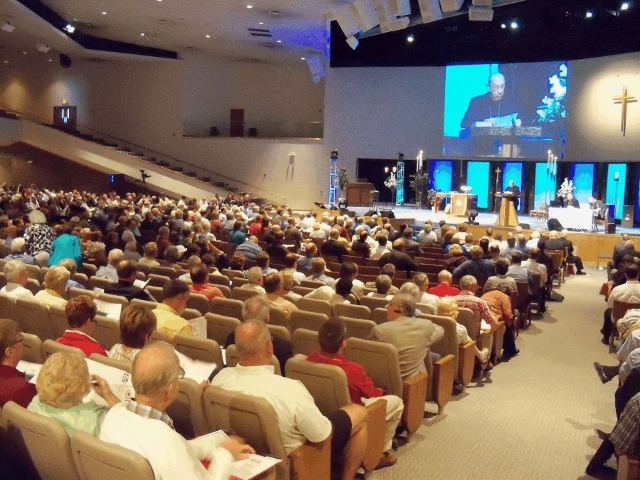 The decision to form the new church body was made at the annual Convocation of Lutheran CORE, which attracted more than 1,100 Lutherans Aug. 26-27 at Grove City Church of the Nazarene in the Columbus suburb of Grove City, Ohio. Thousands more watched the Convocation online. The Convocation adopted a constitution and elected provisional leaders for the NALC. The Rev. Paull Spring of State College, Pa., was elected as provisional bishop of the NALC. Spring served as the bishop of the Northwestern Pennsylvania Synod of the Evangelical Lutheran Church in America (ELCA) for 14 years. Read the minutes of the Lutheran CORE Convocation containing references (highlighted in green) to the formation of the North American Lutheran Church.